Does the Canon 760D make Handheld MPE-65mm Insect Natural Light Shots Possible ? With the improved noise / detail handling of the 760D over the 650D, I wondered if pushing the ISO to 6400 to get a high shutter speed would enable this. 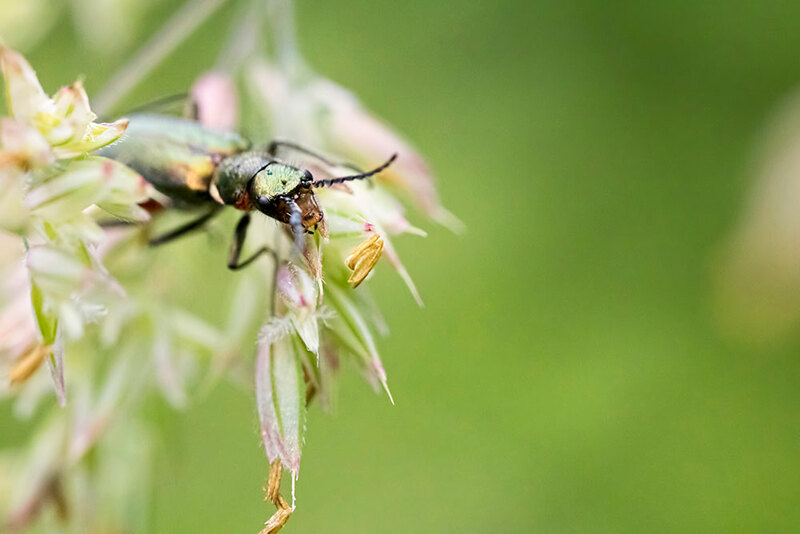 So on the walk round Blashford on the recent try outs of the camera, I attempted to take this beetle in a flower. I managed to shoot at F6.3 with a shutter speed of 1/1250 sec at this ISO. I felt I needed this speed to get a half chance of getting the bug in focus as it was blowing in the wind. In hindsight – trying on a more stationary subject might be a better test! After running the image through my normal denoising plugin – Topaz Denoise, though the image of the beetle is not too bad, even with the wind, and the high ISO. It is difficult to see the details on a web image – so this is a crop at 100% – before a web size conversion. 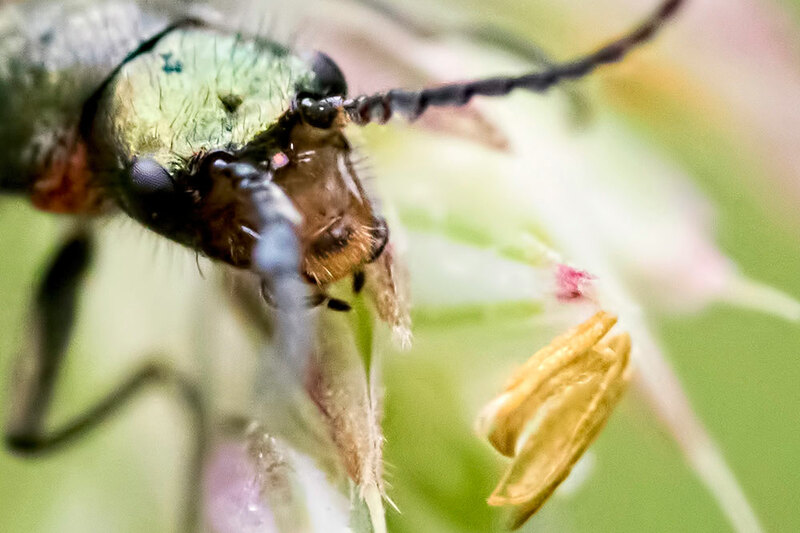 Hopefully you can see that – whilst far from perfect – there are still details in the beetles eyes. I think with a more stable subject – and reasonable lighting conditions this might improve at this ISO. It will be interesting to try this again – hopefully on a lower ISO setting – maybe 800 or 1600, to see what can be done. Additionally I feel that even using a high ISO and wide aperture – stacking may improve this. So at the moment – the answer is – the jury is still out!